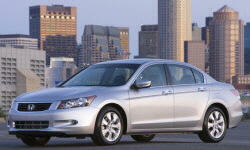 Why the 2009 Honda Accord? Looks like a BMW at a fraction of the cost. Why Not the 2009 Honda Accord? You feel the road, which is what I prefer. This model year has a lot of road noise and body rattles.